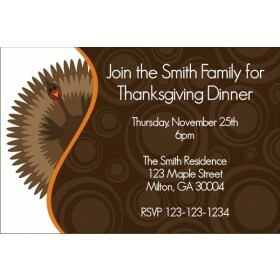 This unique invite features classic fall elements like turkeys, pumpkins and fall leaves. 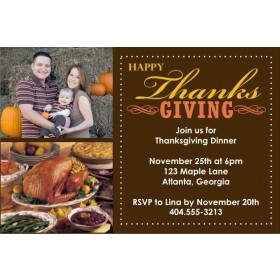 It's a great way to invite guests over for fall festivities like Thanksgiving dinner. Personalize it online with your text. Order today!